It's been a while since we've been able to get out of the office and into the community to report about the cats that help make some local business owners' jobs a little livelier. But the "Inland Northwest Business Cats" series lives on, and we still have a pretty lengthy list of businesses in town that are reportedly home to a feline or two. 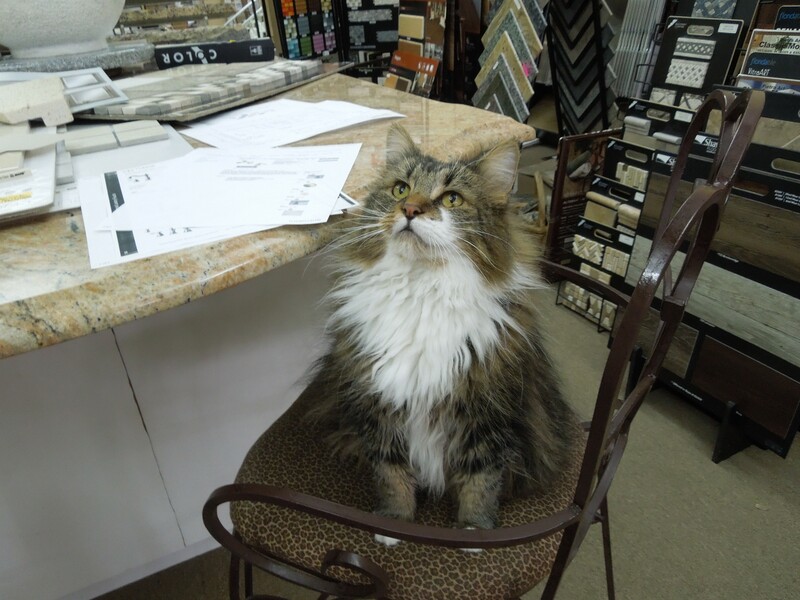 We discovered the cats at Interiors by Robin, in the Garland Business District, purely by chance. One evening after seeing a hilarious show at the nearby comedy venue the Blue Door Theatre, my companion and I passed by the next-door business and noticed two very contented cats sleeping near the shop's front window, one lounging on a small decorative bench, and the other curled up right on the other side of the glass. Cat lovers like me don't forget about unusual sightings like that, and I mentally filed the memory for future reference. Dolly and Keekee often nap in the business's front window. Recently, I met the interior design studio's owner, Robin Hoffman, and her two resident kitties, Dolly and Keekee, short for "Keekeelishus." The two shop cats definitely weren't planned fixtures for the business, Hoffman tells me. 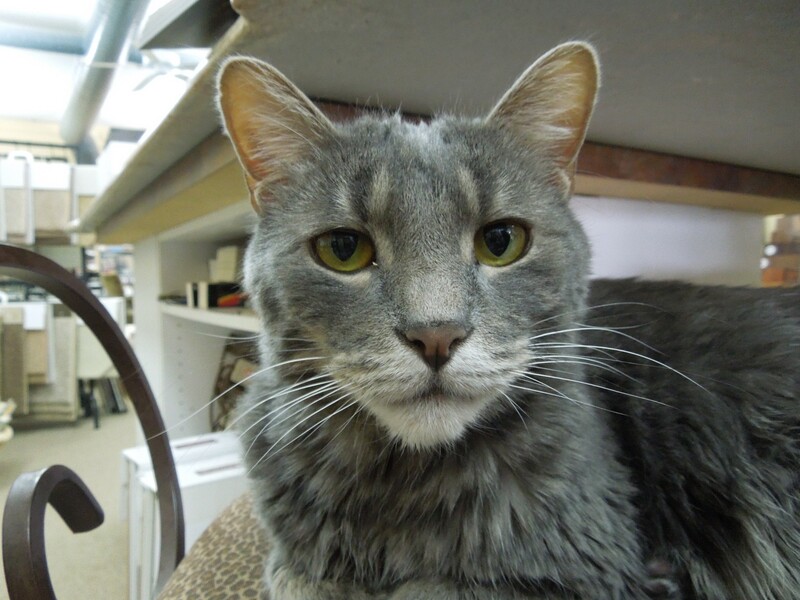 On a frigid January day back in 2006, Hoffman says she was bringing in supplies through the store's alleyway garage door, when a skinny little cat zipped inside to escape the cold. "I was just kind of torn," Hoffman says. "I already had multiple cats at home so I thought well, she can stay here." This wasn't the only surprise in store. "Maybe a month went by, and I noticed kind of a roundness to her belly, and I thought it was just because she’s getting fed and things are getting better for her," Hoffman continued. "Then one day a lady came by and said, 'that cat’s pregnant,’ and I think I was in denial." Sure enough, weeks later the little stray cat, which Hoffman named Dolly, had her kittens in the back of the shop, surprising an intern who discovered the kittens one morning. Because Hoffman planned to keep Dolly at the store as its resident kitty — she already had four of her own cats at home — she didn't want the new mother to get lonely. After finding homes for three of the four kittens, she chose to keep a smoke grey male, named Keekee. Keekee was one of the four kittens in Dolly's litter. The two have certainly made a name for themselves on the block, lined with shops and restaurants, and Hoffman says "everybody knows about the cats on Garland." "I would say 99 percent of people come in because of the cats, just to pet them," she says. Sometimes, when they're sleeping in the store window, passersby stop and gawk and Hoffman hears questioning if the cats are real or part of the window display. 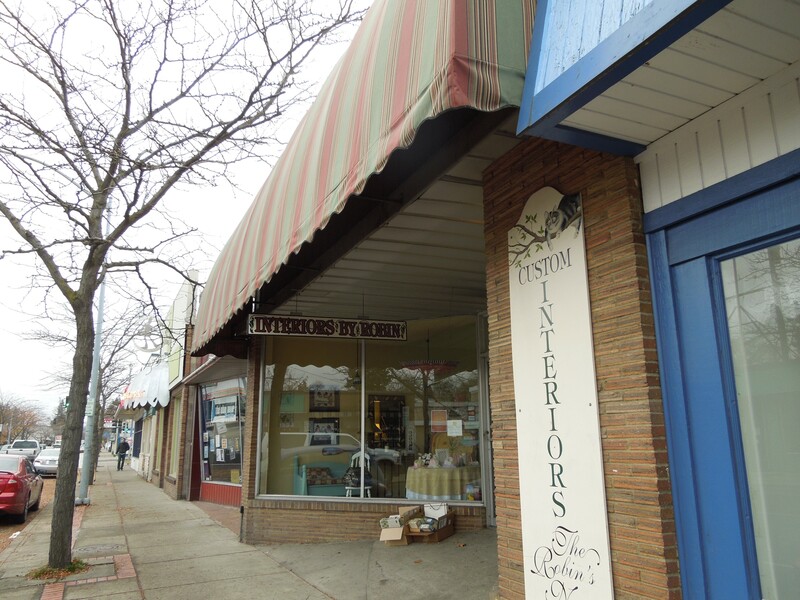 When they're not sleeping in the front windows, Dolly and Keekee enjoy hiding behind the numerous wood, carpet and tile displays in the quaint interior design studio, or scratching up Hoffman's fabric sample books. The enjoy keeping her company, since she's usually the only person there all day. Hoffman says the cats usually prefer to lay on one of two leopard print bar stools at a large workspace in the middle of the room, littered with paint and fabric swatches and sketches of floor plans. Dolly likes to help Hoffman work, and often keeps her company near the studio's work counter. If it weren't for Hoffman's decision to let Dolly stay, who knows what would have happened to the pregnant young cat. She's sure the young mother was a stray. She had no collar and no one ever came looking for her, and Hoffman doubts she would have had a more favorable fate on the streets. And while Dolly doesn't always enjoy being around her son, the two still get along well and Hoffman often finds them snuggled up together, napping or grooming one another. Did Dawn of the Donut steal this artist’s work?